TAXI drivers are shocked and disappointed a plan to implement a taxi disability subsidy has been scrapped. The subsidy would have compensated drivers for losing revenue while taking extra time to pick up wheelchair-bound customers by providing $6.50 for each trip. 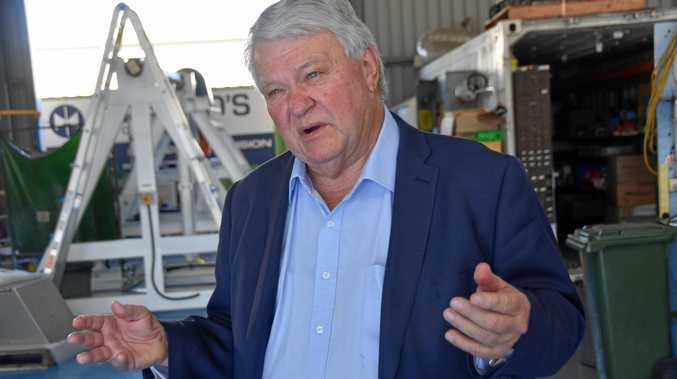 Taxi Council of Queensland chief Benjamin Walsh said the industry had lobbied the former Queensland Government for more than a decade and it was "a bitter pill to have lost it before it had even started". He said Transport Minister Scott Emerson rang him on Wednesday night to advise the LNP would not honour Labor's commitment. Mr Wash said drivers often sacrificed higher fares to pick up disabled customers. "They do so gladly and professionally so they deserve this compensation," he said. "Western Australia has just increased their subsidy to $20 and even $30 in some circumstances, and we can't even provide $6.50." Mr Walsh said it was particularly surprising because the money was not coming from State Government revenue, but from GST overpayments. Deputy Opposition Leader Tim Mulherin is expected to speak on the matter, and other blows to Queenslanders with disabilities this week, just after noon.